Police hunt a predator in 1950s Hungary, while another man rots in prison for the crimes. In a nation still reeling in the aftermath of a crushed uprising against their Soviet overlords, a woman is murdered and raped after leaving her job at the local shoe factory. A lover is rounded up - he admits to the crime and is sentenced to life, and the townsfolk continue their existence. Yet seven years later, the town of Martfű is beset by similar murders, and the race is on for the police to unravel the mystery. 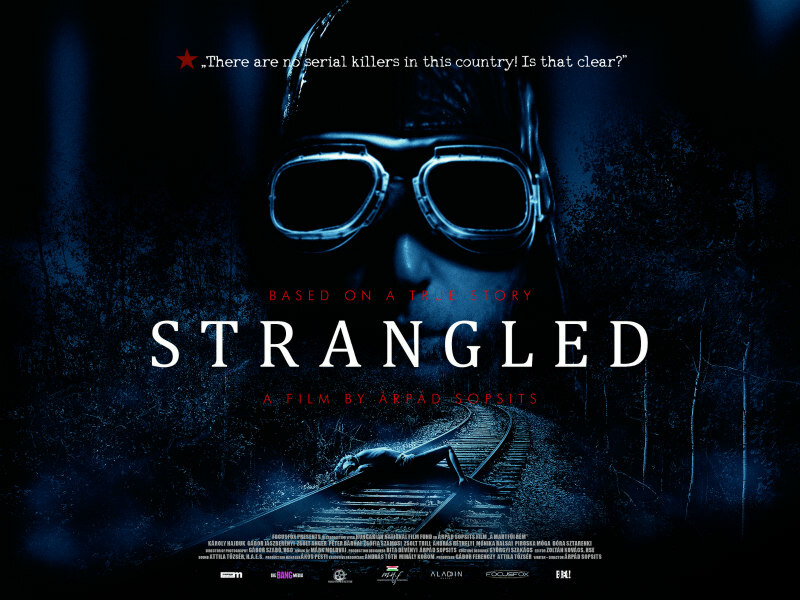 Strangled is an engrossing if challenging work, echoing some of the great crime thrillers while maintaining a local flavour. The setting itself captures the drabness so associated with the Eastern bloc of the Cold War, its shots of workers streaming out of the shoe factory reminiscent of Metropolis. There is also no attempt to shy away from the heinous crimes, and neither does director Árpád Sopsits let the period setting overpower the film's narrative. The graphic nature of Strangled's depiction of murder and necrophilia at first come across as close to mere sordid titillation. As the film progresses, it becomes clear how important it is to depict these scenes within the plot, giving an idea of what these women and the community as a whole had to suffer. The drunk local cop, the precocious outside detective, the commander who wants the whole thing shut down quickly with no loose ends. We've seen all these character templates before, but that's not to say they're all adequately delivered here. It's also clear that in this Iron Curtain environment no-one is to be trusted, and no-one is going to give you a medal for doing the right thing. While there is a lot of talk of how the city of Martfű is paralysed with fear, rarely does the audience feel it outside of the core characters focussed on. A greater focus on the community and a little less on the police machinations could have aided the overall film. There is also a tacit belief in the audience's previous awareness of the 1956 Hungarian Uprising, which affects the investigation into the initial murder. It is refreshing to see an international film which is not afraid to tell a story without pandering to outside audiences, though an unawareness of this event could leave viewers somewhat confused at points. The production is well made without being flashy, dramatic set-pieces fitting in well with the overall drive of the police to catch the killer. A particular highlight is Inspector Zoltán (Péter Bárnai) racing a train to see if the details of a case match up. There are also fleeting moments of beauty in this film, shining out amid the monotony of the town and the horror of the crimes. Though a grim sense of inevitability pervades some of the events in Strangled, there are plenty of twists and turns right up to the film's final moments. Strands of the film successfully interweave, both the supposed killer in prison (played well by Gábor Jászberényi), and the killer on the loose. Only a couple of scenes feel unnecessary in this taut and engrossing plot, its basis on true events adding to its verisimilitude. Strangled will receive its UK Premiere on Monday 9th October as part of the 60th BFI London Film Festival 2017. Further festival screenings are to be announced, ahead of a nationwide release (UK & Ireland) in selected cinemas on 17th November.